Mike, the lead Mechanical Engineer on the PDX Airport Expansion, which he cites as a great achievement, enjoys taking on large and complex projects with a great deal of independence. 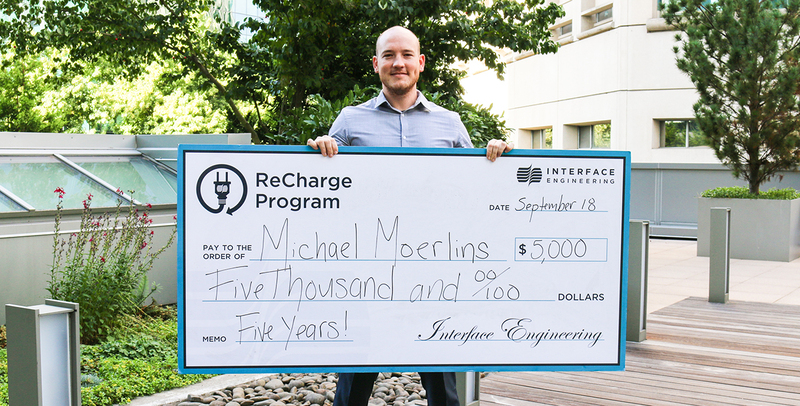 In addition to the stimulating project work, Mike notes the social aspect of the company culture being one of his favorite things about Interface. Mike is planning on ReCharging in Hawaii this spring. Thanks for your hard work and congratulations, Mike!